California's First Dog, Colusa Brown, was loving the hail that fell in Sacramento on Monday. This video from Colusa's Twitter account shows the spry corgi frolicking around. SACRAMENTO, Calif. (KGO) -- Residents in Sacramento experienced wild weather on Monday. 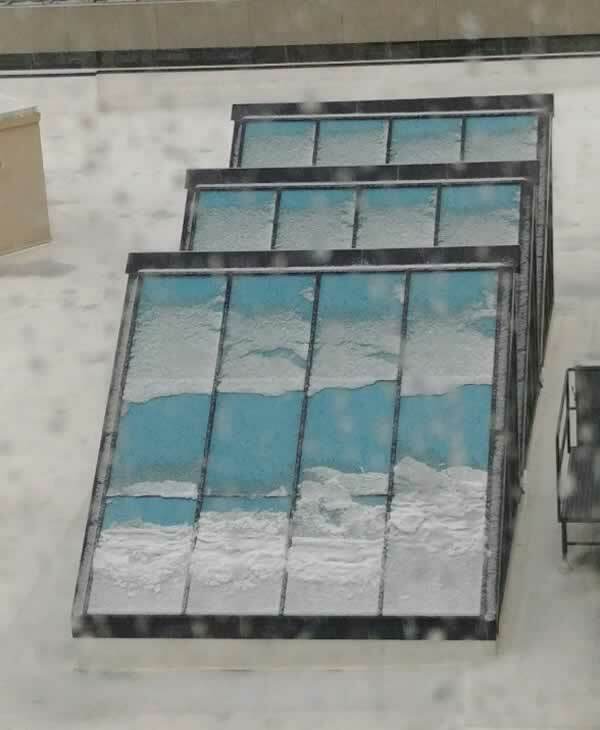 Some parts of the city saw hail fall so thickly it looked like snow blanketing the ground. People took to social media to post photos and videos of fast-falling hail. 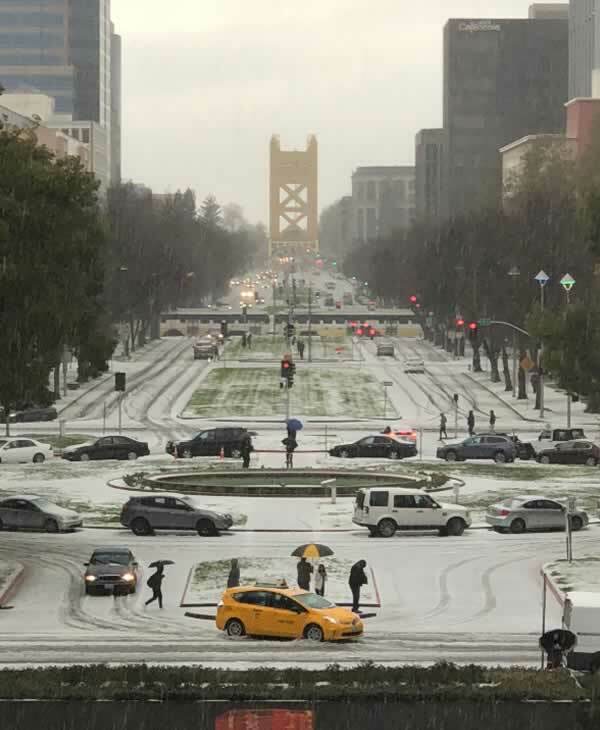 Residents in Sacramento experienced wild weather on Monday. Some parts of the city saw hail fall so thickly it looked like snow blanketing the ground. We're still in Sacramento, right? Sacramento resident Matthew Ortiz captured this Instagram video of hail coming down in the area. Resident Jonathan Arambel captured this photo of the hail in Sacramento, Calif. on Monday, Feb. 26, 208. This photo of hail coming down in Downtown Sacramento, Calif. was captured by resident Wendy on Monday, Feb. 26, 2018. Click here to download the free ABC7 News App to track the storm where you live. Make sure you enable push alerts for immediate notifications and severe weather alerts. Click here for weather where you live.